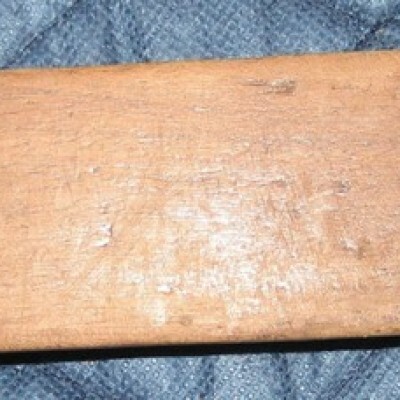 Wooden block, unknown use, but located in carpenter's tool boc. Has a sort of T shape. Dimensions are approx. 6" x 2". One one of the long sides, in pencil, is the name "Donald Johnson"